Heinie Hartwig became a painter of primarily western subjects although he also does landscapes and still lifes. The tone of his work is primarily romantic. He started painting in 1970, working on his art in the evenings, and a year later quit his job and began painting for a living. He had grown up in the Santa Clara Valley of California, and left for three years to spend time traveling through Europe with the Army. He was in Germany as the Berlin Wall went up and persuaded his wife, Eva, to leave East Germany to marry him. Returning to Santa Clara, he worked pouring concrete, and spent a lot of time running marathons. In 1964 he held the record for long distance running in Northern California. By 1991, he was in "Who's Who in American Art". Hartwig taught himself to paint by studying the "Old Masters." He was attracted to the charm and romance of classic art. He has managed to capture the light, color and style of those great artists. 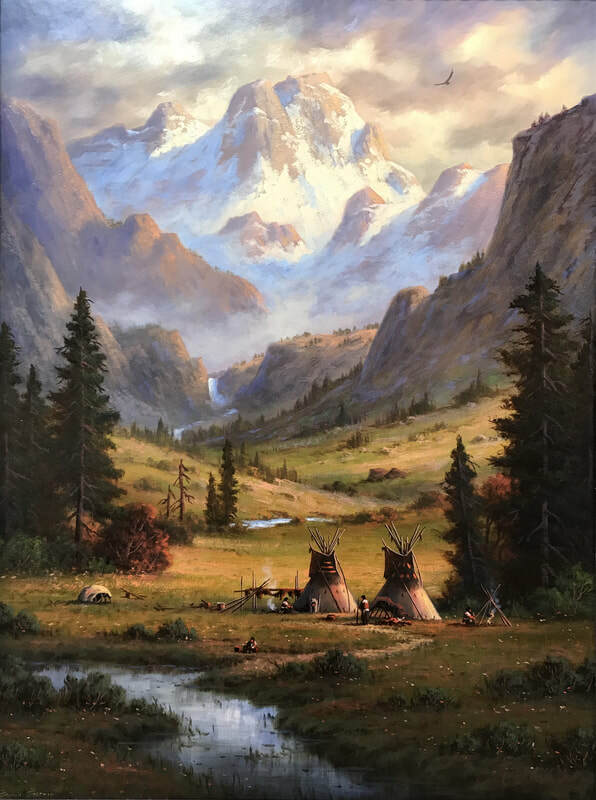 Though most of his work has a western theme, Hartwig is a versatile painter. Many of his paintings are landscapes and still lifes. Heinie Harwig's work has been compared to Albert Bierstadt and John Constable for its romanticism, European feel and composition.